1. Increasing awareness about the importance of clothing accessibility for people with disabilities. 2. Developing and sharing knowledge clothing designs and technologies that will increase clothing accessibility. 3. Increasing awareness about the importance of clothing accessibility for people with disabilities. Not only are we committed to making products, we make experiences. We believe in practicing universal design collaboratively. Unparalleled was designed by christina mallon, Claudia Poh, Julia Liao and Estee Bruno. Clothing is both a medium for self-expression and a tool for functionality. It has the power to uplift or constrain. Apparel that works for the individual while looking good is a tool that helps build self-esteem, form social relationships, and to opens doors to gain skills, knowledge and even employment. A lack of accessible clothing or wearable solutions can then become a barrier for employment for people with disabilities. Presentation of self via interviews or resumes is a key place where cultural capital bears on the employment process, in part because it provides a basis for employers to assess the social capital employees will bring to the position. Clothing is both a social and functional tool for leading a fulfilling life, for all individuals. Style provides a space and ownership of the body for all wearers, through which individuals express their personalities and to go about life. Yet, inclusive designed clothing resources for disabled people are difficult to find, and often don’t meet individuals’ specific needs. Furthermore, products are often created without consulting the disabled clientele they seek to serve, often resulting in a severe disconnect between how able-bodied people perceive accessibility needs, and what disabled individuals actually need. 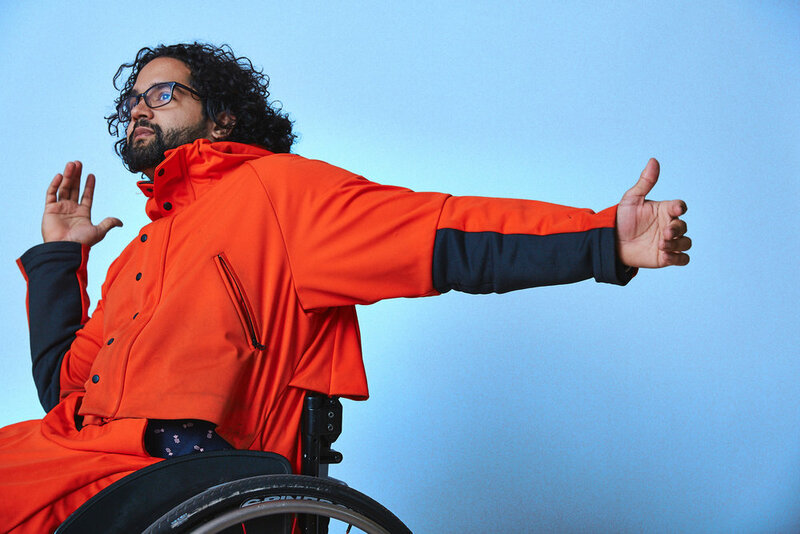 Accessible clothing creators often have difficulty finding spaces to apply universal, interdisciplinary design methods and network with PWD. As such, a lack of meaningful clothing options through the existing fashion marketplace poses an enduring barrier to full social integration, in terms of both production and consumption. The perceived value of things that are beautiful or aesthetically well designed are driving factors for any purchase in assistive technologies, adaptive clothing, or wearable tech. Design that looks good and functions well increases the likelihood of clothing adaptation. Individuals wouldn’t have to choose between wearables that leave them looking (and feeling) medicalized or infantilized and garments that are fashionable but curtail their independence. Stylish wearables that meld technology with aesthetics mean the difference between a wearer who is empowered through independent dressing and functioning and the person who invests in a garment that through its lack of attractiveness and/or functionality remains unused.